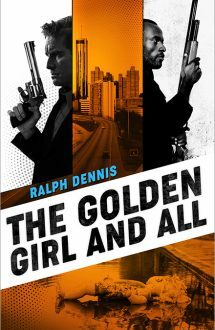 The third novel in Ralph Dennis’ great, but hard-to-find 1970s detective series that’s been sought-after for decades by readers of the very best in crime fiction. Hardman is hired to find Peggy Holt, a drug dealer, stripper, and serial seductress who has kidnapped her six-year-old daughter from her ex-husband. Peggy has disappeared into an Atlanta underworld populated by the dirty cops, crooked lawyers and violent mobsters that she’s bedded and betrayed…and who keep coming back for more. The only way Hardman can find her is to follow the trail of corpses that she’s left in her wake… without becoming one himself. This edition includes an introduction by New York Times bestselling author Joe R. Lansdale and an afterword by Richard A. Moore. Like Chandler and Hammett before him, Dennis was trying to do something different with what was thought of as throwaway literature.